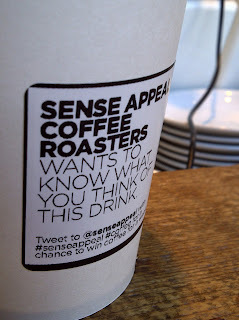 ATTENTION: Bathurst and King area, you have someone to compete with Jimmy's Coffee, and they are GOOD. This Scandinavian influenced espresso bar is definitely a jolt to the area. 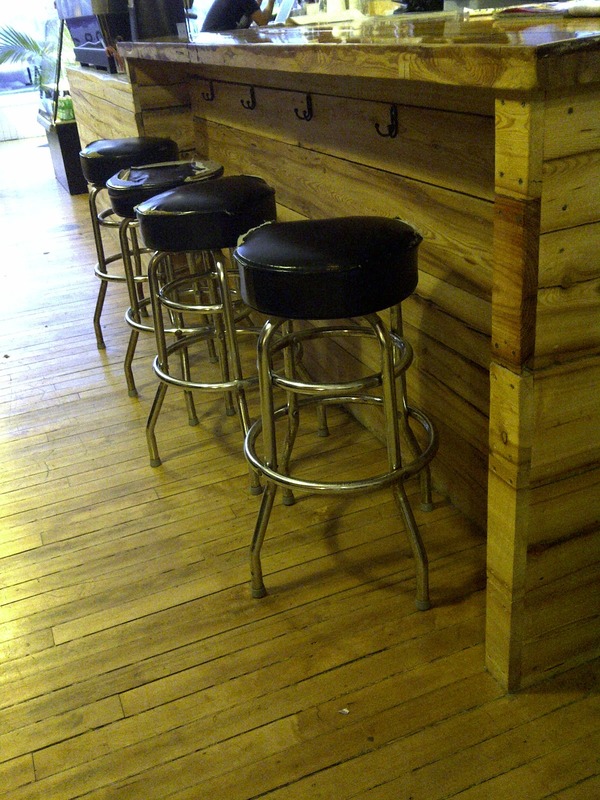 With crafted wood being used throughout the cafe, from their bar to their warped wood shelves, with a the viking mural designed by OCAD students. They've teamed up with new-kids-on-the-block Social Coffee and Tea Company to create their very own unique espresso blend. They did their homework and the female-dominated population craves for the rich velvety chocolate profile in their espresso drinks. 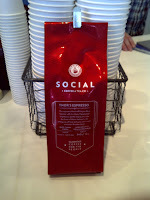 Kudos to Steve and the team at Social, as they've come up with a great combo of flavours. Co-owner Tom Junek, indicates that as they become familiar with their clientele, they'll tweak their espresso to fit what the customers want. Now that's a great business model. It's an espresso bar, and they kept it that way on purpose. Comfortably fitting 10 people with simple Herman Miller Eamed Modeled Plastic chairs, small tables and a carpetted ledges - good for small bums. 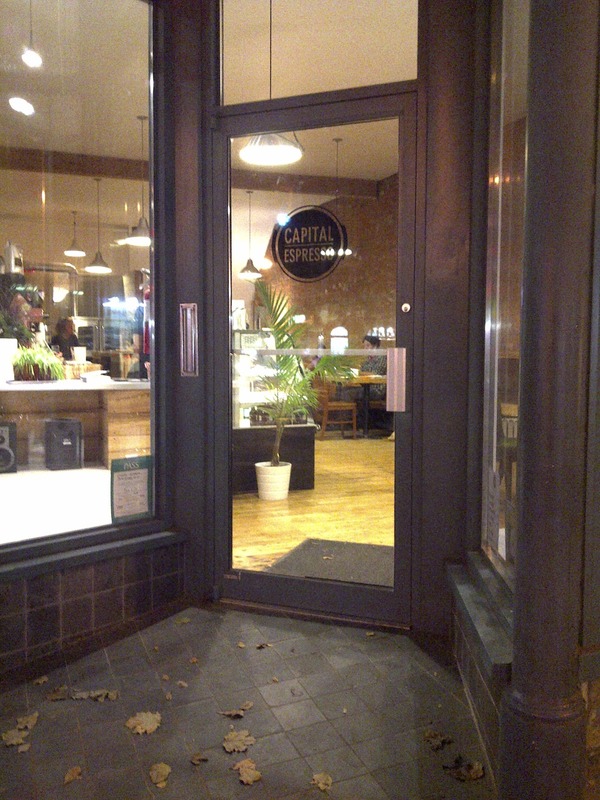 But the focus should be at end of the cafe - a nicely designed bar that they hope to use for coffee cuppings down the road. 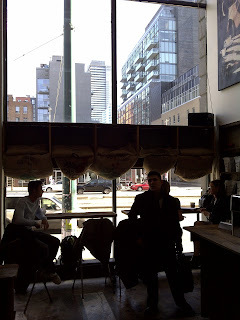 This idea is not new, but is refreshing when they are keen to expose their clientle to other coffees/roasters/flavours and open up a discussion about coffee knowledge. On this soft-opening, it was evident that they had more ideas for the upcoming weeks. 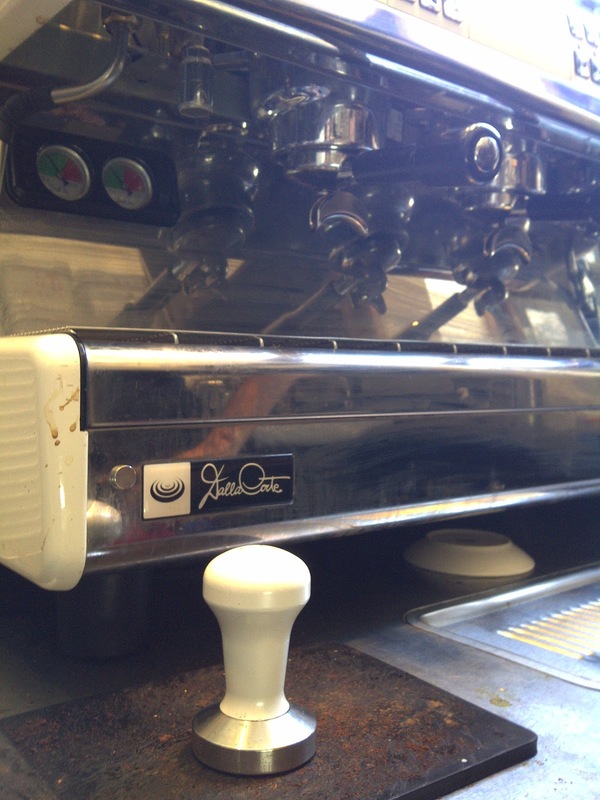 They will always have their espresso on hand, and will be featuring another bean on a 2-week rotation. 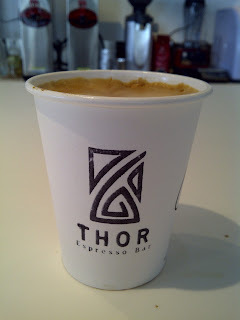 Thor's Espresso - Blend of Panama, Ethopian, and Brazil. "Our espresso blend will hit you like a hammer with its' citrusy Panamanian brightness, quickly easing you onto the fruits of Africa, before finally letting you off nice and easy with a sweet chocolate Brazillain finish." Verdict: Balanced with small hints of citrus, but the sweet chocolate finish screams in your mouth for another sip. 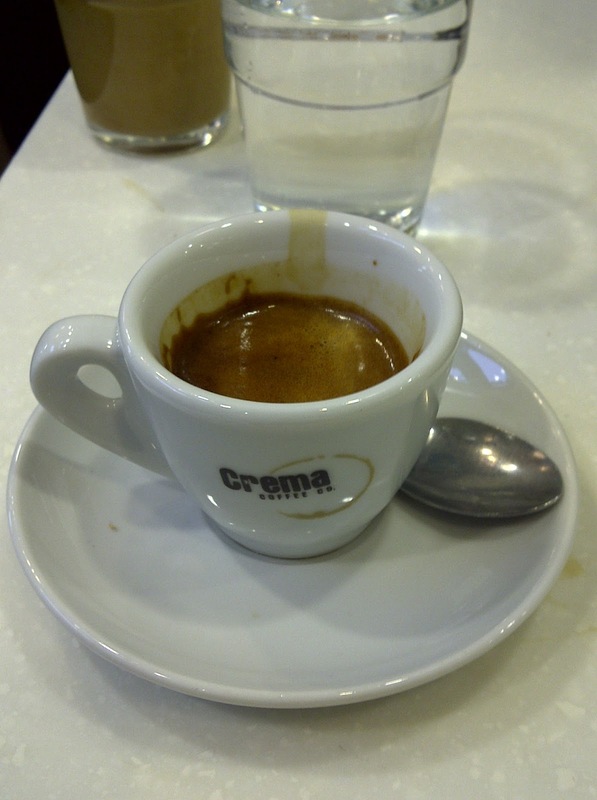 Great Crema was produced from the machine.
" 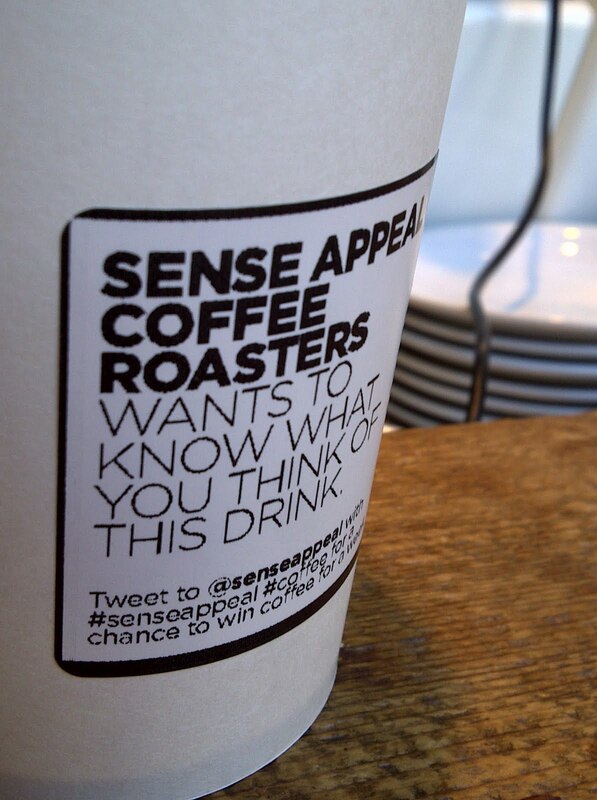 Truly exceptional coffee. Intensely rich aromatic, with notes of floral, citrus, orange, berries, peach, fresh mint and lemongrass. 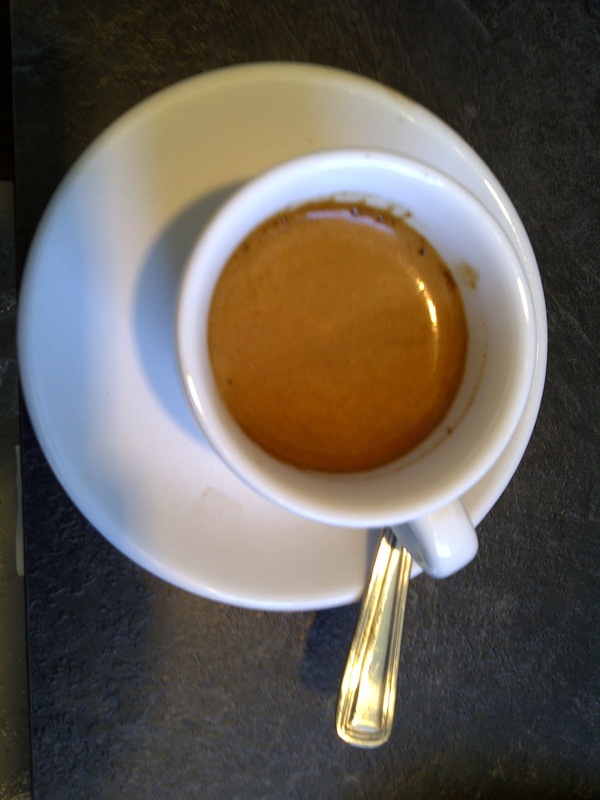 Syrupy mouthfeel, sweet balanced acidity, long lingering aftertaste." 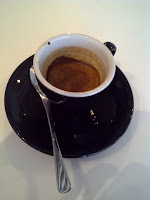 Verdict: More of an intense flavour resonating from this shot. Fruity taste with berries,woody highlights. The consistency of this shot is velvet with a lingering aftertaste of sweet acidity for the WIN. In addition, they were gracious to pull another drink: Cappucino. Verdict: Using their signature beans, the smooth chocolate milk passed thru a more complex taste of buttery, almonds/walnuts/and cashews. The citrusy tones were mellowed and it was equivalent to biting into a KitKat bar. It was delicious. Added Bonus: Pasteries are currently being maded fromCircles and Squares, with diversity from Desmond and Beatrice (TeAro, Rooster), and OMG bakers. Eventually Junek and Patrick Tu would like to do in-house baking to showcase Swedish baked goods with more Gingerbread power! Definitely worth a repeat visit! Using a the space of a former autobody repair shop, Kiwi import Andy does the on-site Small batch air roasting in their machine early in the mornings - 4am to be precise. YES I've seen it happen, and yes I was up that early, for those that know me well - know why. In the ever so saturated Leslieville espresso scene - with the likes of Mercury, Dark Horse, Tango Palace... it seems that Te Aro has done something unique and right. 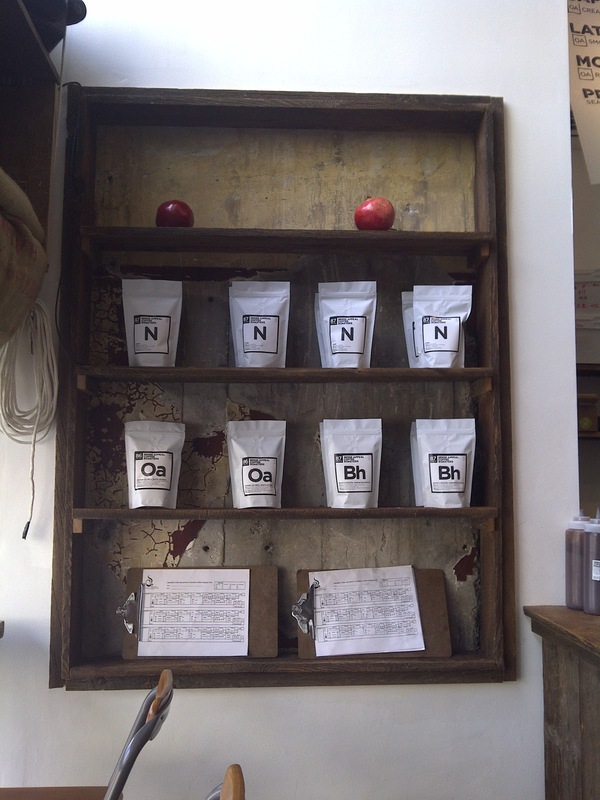 Roasting and brewing their own beans means that they have always have freshly roasted, carefully blended beans in stock, and with high demand to boot. It's also not surprising that this "roasters and cafe" have quickly made a name for itself within the cafe and resto scene signing up (Rooster). 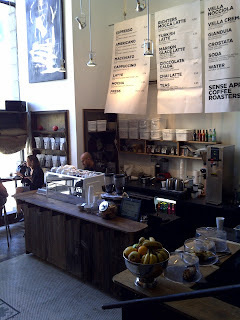 Again, just like CRAFTED - their second location in the west-end, they take espresso seriously. 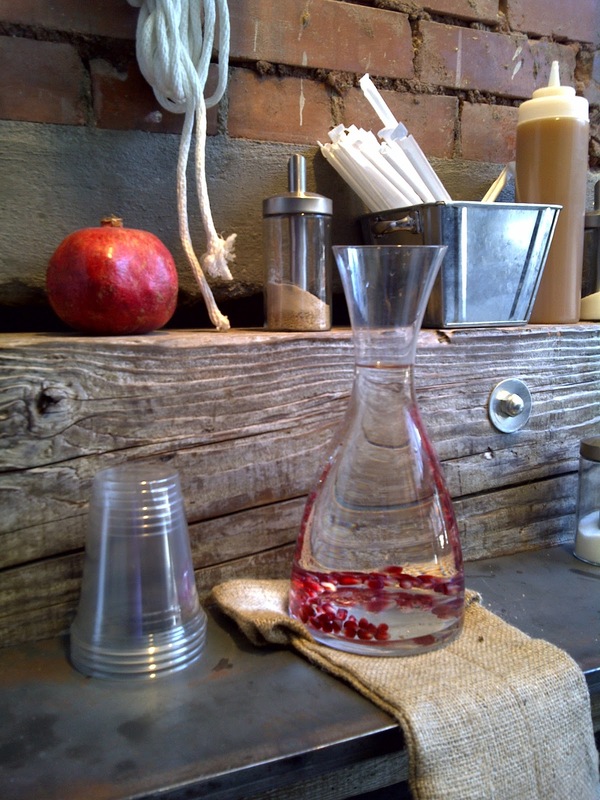 This means allowing the drinker to enjoy their espresso in one of the warm brown Italian hand-crafted cups and always served with a glass of sparkling water. This gesture always makes my heart smile, and gives me that comfort to appreciate their skills in developing the best double shot of espresso. Even on separate occasions with different baristas, it's always the same high quality. Thumbs up! They also were awarded Krups Kup of Excellence for Toronto. Along side the espresso - they serve a very mean Flat White, one of the best in Toronto with a very extensive list of espresso based drinks, along with daily brews, it's only fitting that Te Aro is making a name for itself in the neighbourhood, and attracting other Torontians to come and experience what the east end has to offer. On their shelves they carry big names such as: Bodum, Hario (Japanese makers of coffee equipment) and their line-up of beans. Cups, equipment, beans - everything you need for being a home barista superstar. Verdict: The Big Bro blend is very smooth, with hints of sweetness and equal parts acidity to round out the taste. Sip it, savour it, pound it back (watch out, it might be hot), all will satisfy the delectable experience that your taste receptors will scream for MORE! 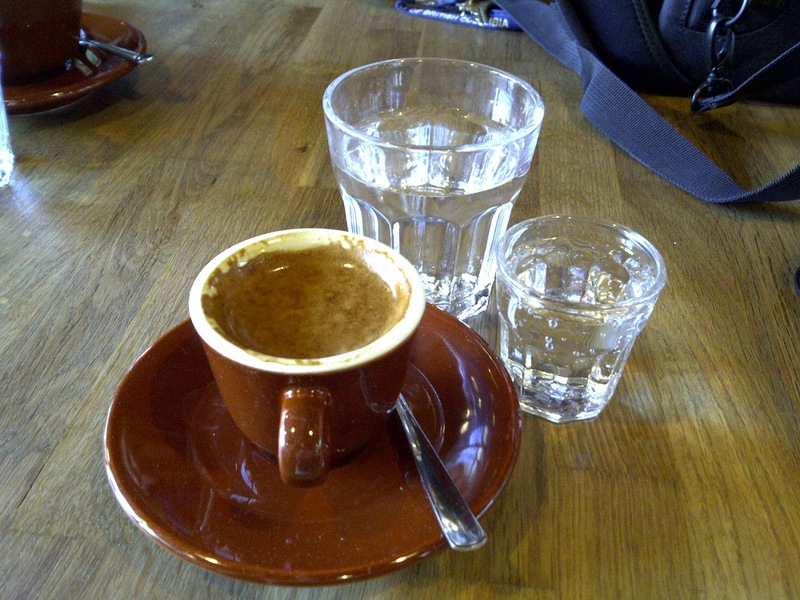 Thank you Te Aro for opening my eyes to the potential of what an amazing shot of espresso can do to ones life. Inspiration to go on the quest for greatness. Pick up your Indie Coffee Passport soon - $25 and access to one drink $5 at 24 locations. 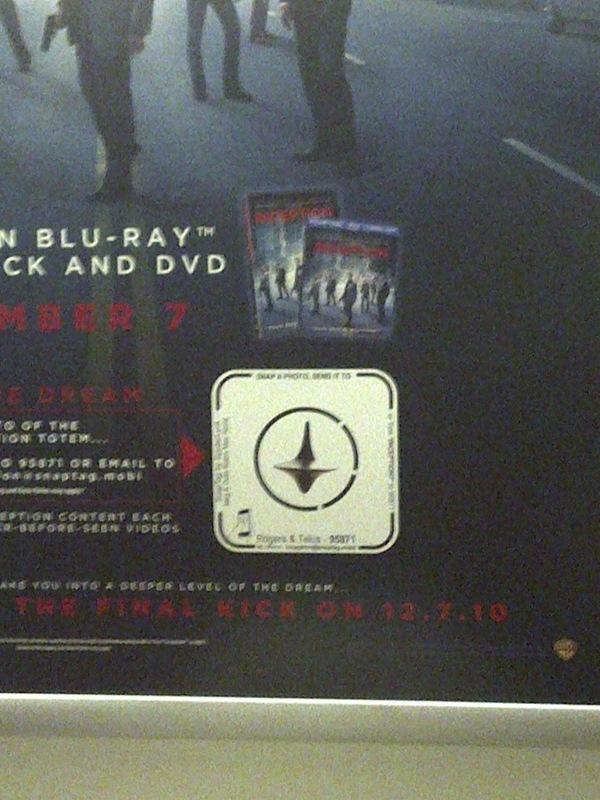 Opening November 17th -- WEDNESDAY! THOR is an independent espresso bar/cafe/cupping room/concept space located in the King West/Fashion District. 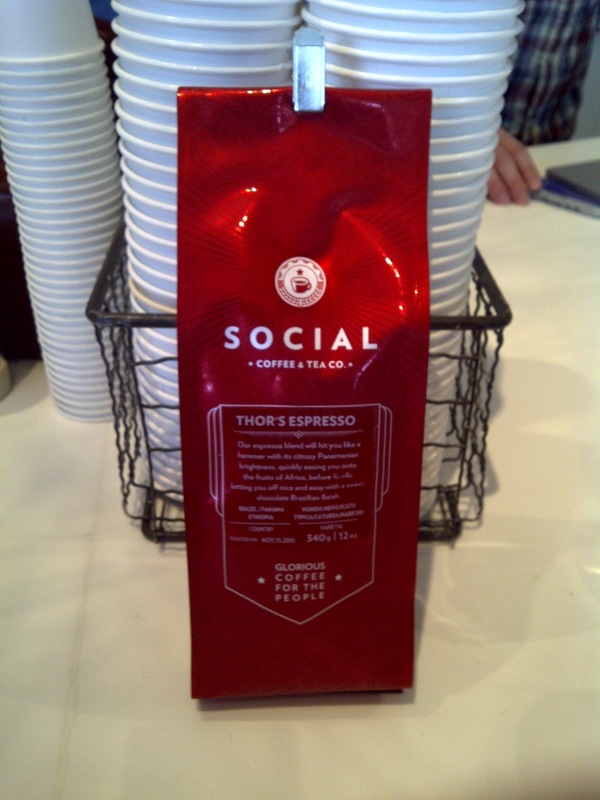 Locally roasted, Scandinavian influenced, featuring T.O. 's first n only SLAYER machine! Here is a video about the Slayer machine. 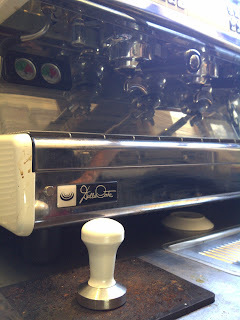 Slayer Espresso Machine Explained from Gary Schweikert on Vimeo. 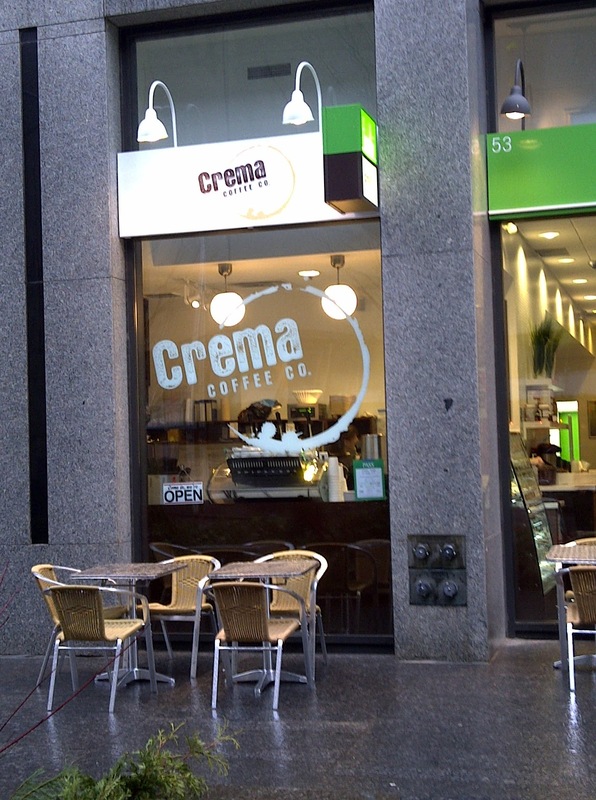 After 2 years in the Junction, they decided to open a second shop in the core of downtown - SMART move as the Yonge/Bloor area really lacks good espresso. Let us focus on the main cafe, with many small tables for the chatty people of the West (High Park, Runneymede, Junction crew etc...) The cafe takes over the former space of a bank with a renovated inside containing wooden floors, and bright walls. In the cafe there are books, coffee equipment new and old (French Press, Aeropress) and official Crema's & 49th Parallel cup ware . Along with a vast array of beans in Crema packaging! GOLD! 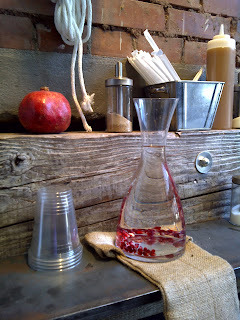 Trekking out to the Junction is definitely a must - they take their coffee seriously. By this I mean the literature available in the space all points to coffee lovers, professional barista books and anyone in the know will appreciate that they pull Vancouver roaster 49th Parallel - Epic Espresso. In their other grinders are different roasts to compliment milk based drinks, this is what I call "attention to the individual coffee drinker". Along different roasts to compliment Caps, Lattes, or Americanos.. and another roast specifically for espresso is refreshing. 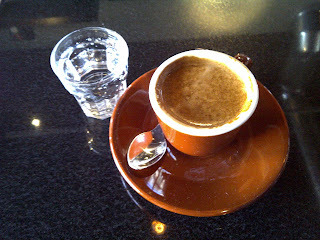 On this day as I was watching the barista - they were clearly trained to produce well crafted shots. He would have the same stance each and every time that he went to tamp the bottomless baskets - the best way to enjoy my double espresso. His technique didn't vary too much, which is the consistency that is needed at a heavy traffic espresso location. If it varies from barista to barista, then one will start to avoid it at certain hours if the barista on the bar is less skilled. But this is definitely not the case with Crema, they do coffee right. 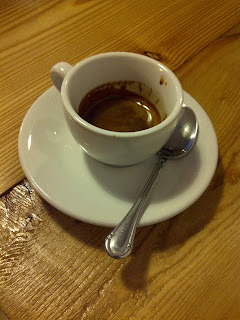 The training that is being passed on, is something I respect as an espresso lover. 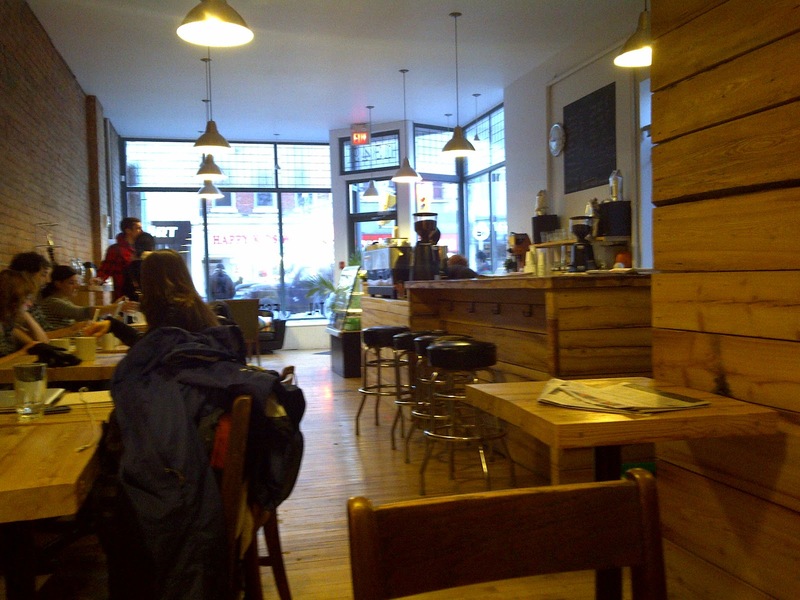 Being over in the junction is a rare sight - but the times I've gone over the last month, have created that sweet taste of Epic Espresso that I've come to enjoy Kudos. Verdict: Sweetness rings thru this blend from 49th combining Honduras and the ever so popular Ethiopian Yirgacheffe. The current iteration of Epic, makes me smile when I can taste the sweet, juicy fruit tones dance on my tongue. While having that nice cocoa-ness that rings thru coffee beans. 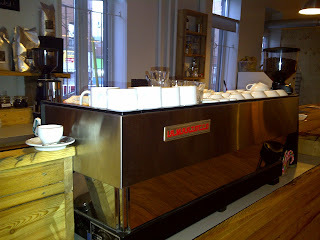 Special Shout out to the Bloor St. E location with the amazing Mirage Triplet Idrocompresso. Having open in the spring of 2006, they made this corner shine with their precise attention to details. 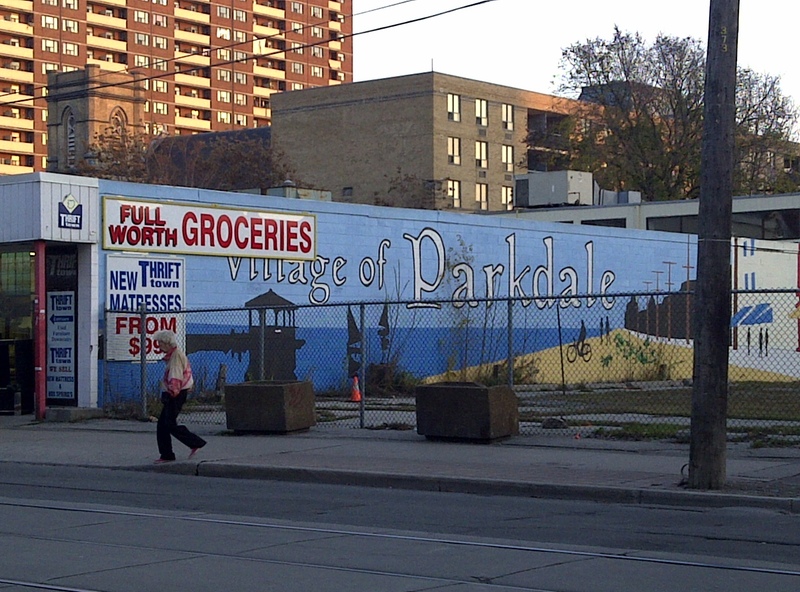 It took a while to get used to the new layout having spent a long time with the huge mural of Toronto streets, corner couches and tables these recent renovations opens up the floor to a bigger space for this hip-east side hot spot. Currently there are more windows, a revamped espresso bar, and more small tables to conduct business meetings. There is a large art installation hung from the ceiling and a tribute to the old - with their old white sign hanging on the side wall. New coats of paints, and this new set-up gives it more of a professional look, than the old hangout joint. 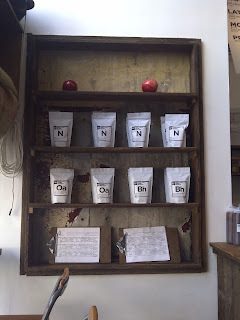 The baristas and owners really try to connect with their customers, by knowing their roasters, products and machine. This relationship manifests itself into how they pull their shots. Owners Matt and Doug strive to find quality beans while bringing new coffees, roasters and flavours that they find fascinating. 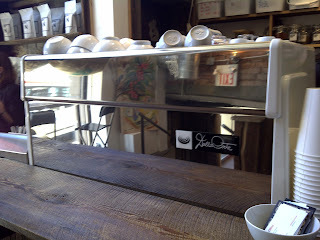 On this trip I had an opportunity to chat with Nolan about how he liked the amazing Synesso machine. Individual temperature control of the 3 heads, means that the Synesso machine can handle three different beans. Nolan noted that the featured beans use 201 degrees while the other ones typically are pulled at 196/197 degrees. Nice that they take care in keeping the temperature gauges monitored for the optimal temperature to create the best shot. Verdict: Well balanced, citrus acidity, notes mandarin orange & grapefruit, spicy lingering finish.This brings me back to SF's Ritual Coffees' Sweet tooth (August edition). yum yum! Great vibe for a cafe, but the love of espresso oozes once you step thru the curtains, and explore what they have in store.